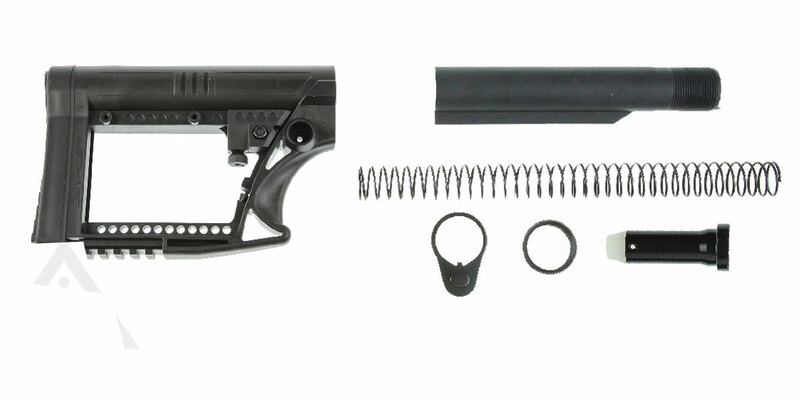 This combo includes a lightweight stock that mounts to a carbine rifle. this super strong glass filled nylon stock gives your rifle a 21st century look while still being easy to replace and quick to install. Featuring a 9.5-ounce weight, this stock is not interchangeable with an A2 standard buffer tube. This combo also includes a mil-spec buffer tube kit. You get to choose your buffer! Choose between an AR-15 buffer or a LR-308 buffer.